A digital protractor is a revolutionary device that enables a user to measure angles more accurately as compared to a hand held protractor. It provides an immediate reading of all the angles in a 360 range. If you are interested in a digital angle finder for your woodwork, construction or any other function, you need to acquire the right one. Protractors range from analog to digital types that measure angles from 0-360 (Source). There are important factors that you should consider when buying the best digital protractor. In this review, important factors such as accuracy, design, functionality have been discussed to assist you acquire a tool that will effectively do the job. The Wixey WR418 is a precise, versatile and convenient tool. It is a nice option for wood working functions with the capability of setting both bevel and miter angles. 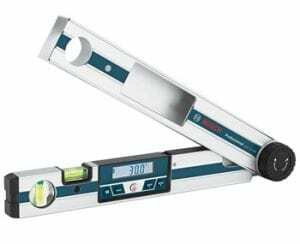 Its heavy-duty aluminum blades features magnets that enable you to attach the digital angle gauge to steel tables, jointers, band saws and any other metal surfaces. A simple function includes an ON/OFF and zero button. Soon after measuring a corner angle, the 3rd miter set-inch button will calculate the exact miter angle to offer a precision fit. It is excellent for calculating correct angle for a bend and measuring an existing part. It has eighteen inch long blades that offer -/+ 0.1 degree accuracy and repeatability. It also includes a miter set-inch feature which instantly calculate proper angle for cutting miters. 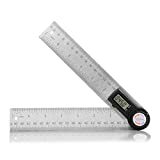 The Tacklife MDA01is a seven inch angle finder stainless steel ruler with zeroing and hold functioning. It has a large coin battery included for repairing, woodworking and construction. It is made of stainless steel and is 400 millimeters in length. The tool comes with an easy to read LCD display with a measuring range of 0-360. It has a 0.1 resolution and 0.3 accuracy. The best working temperature should be between 0-50 celcius. Tacklife MDA01 has a zero button for relatively measuring any angle and locking screws that hold measured values. Hinge mechanism present on the angle rule enables a full 360 to measure outside and inside and reverse angles. The GemRed 82305 is a seven inch plastic digital angle finder. It generates a clear, fast and accurate readout at any angle. It can easily measure length and angle, metric and imperial scale. You can easily operate the angle finder with the two press buttons it has. The protractor has a compact structure for convenience whether in use or when carrying it around. 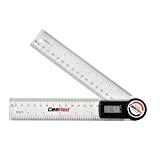 It can also be well used as a square ruler, straight ruler or any other field. It is convenient for woodworking: adjusting angles of band, miter and table saws, medical treatment, vehicle repair and maintenance, construction, drawing and so on. The general tools 822 is a 5 inch digital angle finder. It is among the protractors that is equipped with Bluetooth technology. With it, you can save any crucial data to your device. It has a range of 0-360 and an accuracy of +/-0.1. The angle finder features a reverse and lock angle modes with jumbo LCD hinge mechanism. They provides a full 360 for measuring inside, outside and reverse angles. It is made of stainless steel to last longer. General tools can be zeroed at any given point in the swing. 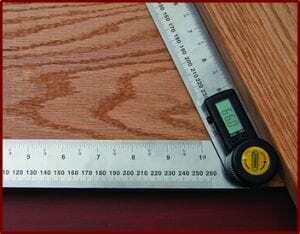 The tool offers precise measurements to facilitate exact miter cuts. With the LCD readout, it makes measurements easy to read. It is ideal for construction, tiling, flooring, woodworking, framing and so on. 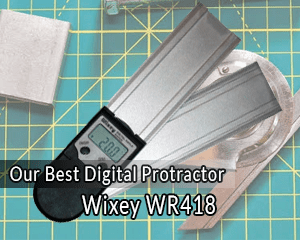 The Wixey WR410 is an eight inch digital protractor that offers -/+ 0.1 accuracy and repeatability. It has a convenient and easy to use digital display. The protractor can be used in any given plane making it ideal for setting miter and bevel angles on various woodworking tools. Wixey WR410 has a range of -/+ 180 that gives it the ability to cover a majority of your angle measuring needs. It has embedded magnets on the edges of the blades hence can easily be attached on steel saw blades and cast iron tables. The protractor has an added feature of a friction lock that allows them to hold the blades in a fixed position to transfer angle measurements. It is ideal for layout and larger measuring functions. An important feature includes an ON/OFF and zero button for ease of use and understanding. Whether you are a constructor, woodworker or doing simple maintenance at home, a protractor is a must-have tool that you should have in your tool box. It is used for everything from cutting angles to wood joints. Digital angle finders are divided into two categories, professional and amateur. If you are going to use the instrument a couple of times, there is nothing wrong with selecting the amateur type. If you are a professional, it will be best to consider the professional section. Most modern protractors come in standard style and have digital gauges for accuracy. Others come in form of a small cube or box. Although the style does not affect accuracy, the brand and technology will definitely have an impact on how well the protractor works. A measurement error can radically increase costs of your projects and that is why you require a digital angle finder. With the examples stated above, you can quickly select the easiest model for your exact usage. This is the most important feature that will enable you take measurements without errors. If you are looking for specific angle measurement, it is best to select a digital angle finder. They are very accurate within a tenth of a degree. You may not be lucky with the manual protractors. Whether or not you are having problems finding angles depend on the tool you are using. Some allow you to calibrate the angle finder depending on the surface it is sitting on while others may not. If you value accuracy above any other metrics, select an instrument that will make your calculations simpler. A digital protractor is capable of measuring angles between 0-360. This gives the instrument versatility when dealing with many different kinds of projects. Using a manual finder can be exhausting and difficult for the extreme angles, something that a digital one does in seconds. One of the main useful functions of the instrument is versatility. It is imperative to check if a level is included in your digital protractor. This is a convenient feature which saves you from going back and forth between your level and finder with each single cut. It is a good insurance policy just in case you forget your own level. Any instrument that fulfills more than a given task prevents you from carrying many other tools. These are the sort of things that make the difference when working on a project. Investing wisely in your project is all about the quality you buy. The instruments available in the market are all made of different materials. There are those that are durable while others are not. For example, you would expect stainless steel instruments to last for long, which may cost you more as compared to light plastic. There are those that come with just one function. However, best angle finders come with features that make work easier. Among the added feature is a cut calculator. It ensures that each piece you cut fits in the exact manner you want it to. It will be more tiresome to find that the cut you made is off by an inch. The cut calculator does the work for you ensuring every piece fits. Other instruments have Bluetooth technology to enable you back up data on your phone or other mobile device. With it you can carry around work data with ease. These added features increase the price of the instrument. If you do not need them, going for such a tool may be a waste of money. Alternatively, if you require these features, buying a digital protractor that only perform its core function will cost you more as you will have to buy additional instruments. Digital protractors are comparably more expensive than the manual types. You however should keep in mind that you pay for what you get. If you are doing a one-time project, look for a pocket friendly type but if not, invest well to get one that will last. How you plan to use your angle finder will determine the one you select. If you are into woodwork, a versatile tool will probably be a god choice. If you are into construction, a compact type will be a good choice to fit within any nook and cranny. No matter how accurate your eyes are, they can never be as accurate as a digital protractor. The modern types are re-settable, hence you can ensure they are calibrated correctly every time. They are also surprisingly affordable ensuring that you finish your project in a quick and effective way without straining. Regardless of the instrument you select, make sure it has all the important features required to doing a perfect job. Getting sharp angles is a crucial aspect in completing work, minimizing costs and saving time all together. This is a tool that has made projects in different fields easier. They take guessing out of angle measurement. 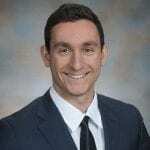 As there are many types available that may make you confused, the above guideline will help you cover your requirements no matter your field of work.